The trend of having share ownership accommodation has been quite popular nowadays. People don’t want to pay the recurring amount on rent but don’t want to spend the heavy price for property either. What is the way out? Buying shared ownership is a good alternative. It is an arrangement where a percentage of the property is purchased from a developer or housing association. Buyers can subsequently to their share till it becomes 100%. As the government promotes the shared ownership arrangement and even run several schemes to promote the same, it seems to be the right choice. The rising prices of property is a cause of worry in the UK. Though Cornwall has remained unaffected by it largely so far, there is no guarantee that the prices will remain constant. Hence, if someone gets a top-quality property in shared ownership, then it should be grabbed immediately. 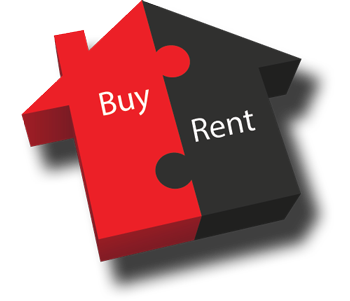 Want to buy a decent shared ownership property in Cornwall? Here are a few things you must know. Well, it may sound childish, but you will be surprised to know that improperly filled application form is a common reason for getting a rejection. The form is long, and whether you fill it in hard copy or on screen, utmost care should be taken while filling. You are required to meet a home purchase agent who has the details of all shared accommodations and their availability. You are informed about accommodation as soon as it is available. Even the agent informs about an upcoming project in the locality you are searching for. The agent will call as soon as there is any accommodation available. He will arrange the site visit. The developer does the valuation of a shared accommodation. You can apply for a mortgage if required. Typically, 25 percent to 75 percent of the property value can be mortgaged. The property agent will arrange a meeting with a finance company to get the loan. Sometimes, the housing society also has an agreement with the finance agency to arrange the loan. Once the mortgage is sanctioned and you got a confirmation from the financial institution, you can sign the deal. You are required to pay for a title search or local authority search. In case you want to increase the share in the property purchased at Cornwall, you need to submit the application to the housing association. Experts do the property valuation and you need to pay the amount. If you need a mortgage, then a period of three months is given to arrange the same. The share can be increased up to 100% maximum. Buying a shared property is good if you do not want to spend extravagantly. In Cornwall, the trend is increasing rapidly. One has to follow a process for it. Hiring a consultant is a good idea. It saves a lot of time and efforts. « Why Do You Need A Surveyor While Buying Properties In Cornwall?